Even though it’s wrong to say that a certain programming language or technology is better than all others, knowing about the latest trends in the industry is beneficial both for programmers and their potential clients. First of all, it ensures coders’ relevance in the rapidly evolving domain. Secondly, it promotes awareness of the programming shifts among end-users, allowing them to feel more comfortable when choosing a development contractor. So let us guide you to the programming languages trends 2019. The demand for HTML is ensured by the fact that it’s the basis for the structure of every single website. 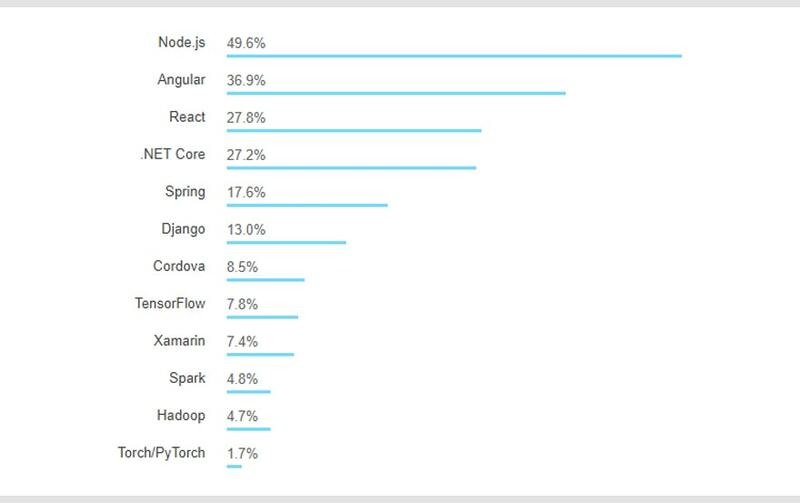 Until there are no equal alternatives to HTML, it will continue topping the list of every single survey. Being one of the most popular languages for designing websites and browser-based applications, CSS proudly holds the third position in 2019 ranking. Despite the fact that SQL is not a multi-purpose language and most of the time it has to be used in conjunction with other languages, like PHP, it is still in high demand across the market. SQL, which stands for Structured Query Language, is a perfect solution for dealing with large amounts of data by accessing and managing databases. For two decades, Java has remained one of the most stable and widely used languages for building an enterprise-scale web application and mobile apps for Android. Considering a growing number of Android users and an increasing demand towards providing stable and maintainable web applications, Java is predicted to stand its ground in the programming industry. Because Shell script instructs an operating system to automatically run a pre-designed list of commands, it’s usage in programming is gaining momentum. Due to easy syntax and a wide range of areas where the language can be applied, including game development, IoT, machine learning, software, and web development, Python grows year by year. Such world-famous platforms as YouTube, Instagram, Pinterest are all built in Python. Being a general-purpose programming language, C# can be used to develop pretty much anything, especially when paired with other languages such as Python or Java. However, C# is applied mostly in game and Windows mobile app development. Although many programmers deeply hate PHP describing its usage as “training wheels without a bike”, the language perfectly suits for building dynamic and interactive web pages and apps. 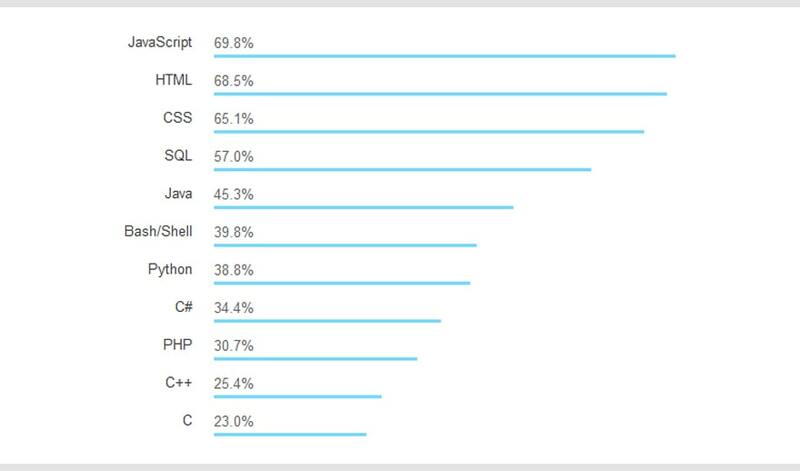 To evaluate PHP’s contribution to the programming industry, it is worth to mention that 80% of websites are built with PHP, including such large sites as Facebook and Yahoo. Even world-famous CMS — WordPress — is powered by this language. Both C and C++ are fast and extremely stable. That is why they are considered as backbones of building most of the low-level systems such as operating systems, file systems, etc. Although the above-listed languages and technologies shouldn’t be perceived as the “answer 42”, they were collected in conformity with current demand, popularity in the business sector and average wages across the market. At Scand, we realize the importance of getting into the flow of the latest technology trends and implementing the most comprehensive development practices in our work. Regardless of your project’s complexity, the full stack of technologies we use allows us providing you with a cutting-edge, robust, easily customizable solution.